The international project “Little Free Library” is the promotion of reading, the revival of love for the printed book, and the promotion of adult and child literacy throughout the world. Speaking at TED-x in 2013, Todd Bol, the founder of the Little Free Library movement, expressed the wish that one day he could boast that his favorite business had surpassed McDonalds in terms of the number of clients served. And he was approaching this. To date, members of the movement “Small Free Library” have registered in their network more than 75,000 mini-libraries in 88 countries operating in accordance with the philosophy of Bol: “Take the book, leave the book” . Bol, who passed away last month, was inspired by the mission of Andrew Carnegie, who donated 2,509 free public libraries with donations. Small free libraries are much more numerous, though not nearly as impressive as the stately buildings of the Carnegie Libraries. 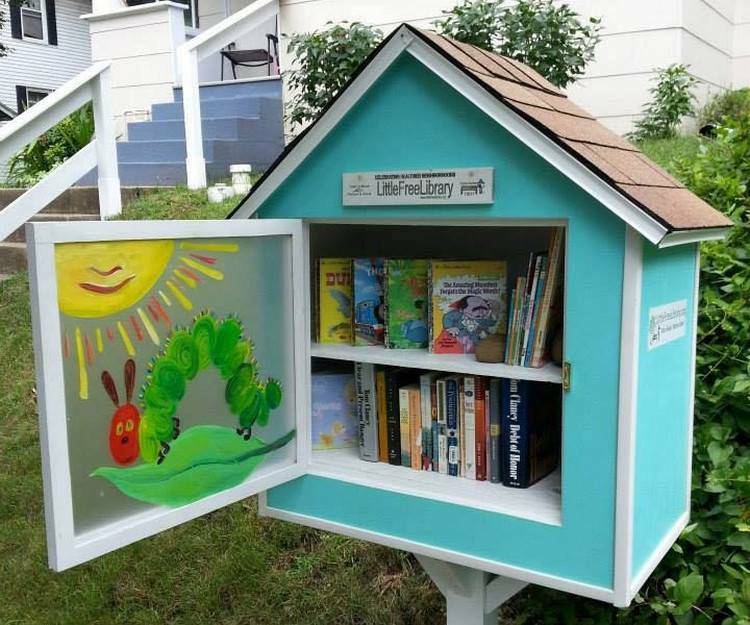 The initiative ( Little Free Libraries ) began with the fact that Todd Ball installed a small book house in the courtyard in the form of a dollhouse in memory of his mother. He used the old garage door as material. 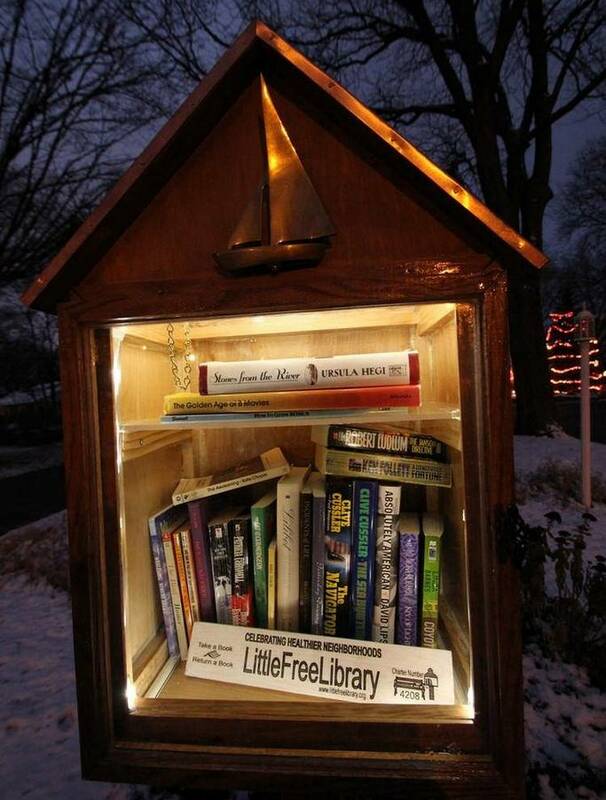 The Small Free Library is a non-profit organization headquartered in Wisconsin. Volunteer co-ordinates coordinate the work of the network, map new book houses to the map, and send boxes of books to other states and countries. Here you can also buy a ready-made book house, made with weather protection. Although the site contains a collection of drawings and tips on how to make it yourself. Bol never called for a specific aesthetic standard. Each volunteer who wishes to take part in this movement can construct a small library at his own discretion. Some for this purpose float old suitcases and lockers. 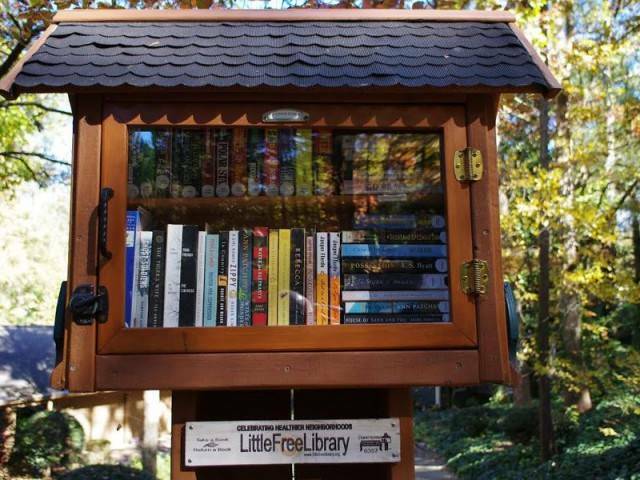 “Little Free Library” is the simple pleasure of sharing a book with a stranger. He is accompanied by an element of trepidation from anticipation and surprise, because you never know what works other readers have left.